If you haven't already, feel free to read my fairly extended thoughts on the allegations against Supreme Court nominee Brett Kavanaugh. There is essentially no way of discerning whether the accuser is telling the truth, is lying, or is advancing a claim based on hazy memories that have potentially been altered or augmented over the course of three-plus decades. But here we are. The accusation is now public, and the dilemma has now become determining the most reasonable, fair, and useful course of action as we forge forward. She didn't act on this information for nearly two months, with her staff reportedly downplaying the allegations as unworthy of public scrutiny to colleagues...until, that is, the rumors spilled into the public eye (quite possibly with her team's assistance) within one week of a key vote -- at which point, she decided it is all very serious and certainly merits public discussion. The GOP is absolutely right to be highly skeptical of how this is going down. They are also right to recognize the difficulty and sensitivity of this situation, which presents a no-win political conundrum: They could move forward with Thursday's vote as scheduled, and risk looking like they're not remotely interested in weighing a serious charge (and possibly even lose the vote). Or they could postpone the vote and hold a hearing, which very well could whip up more frenzied passions and drama over competing claims, without actually resolving anything. Again, based on the facts we have, I don't think this situation is 'resolvable.' It's a 36-year-old he said/he said/she said with zero contemporaneous evidence. To those Republicans wishing to give Ford her proverbial day in political court, out of respect and thoroughness, but who are also disinclined to green-light an event with a high likelihood of turning into an unseemly spectacle (recall the conduct of Democrats and protesters at the confirmation hearings), may I suggest a possible least-bad option: Conduct an expedited, under-oath hearing on this matter in closed session. This setting would permit the accuser and the accused to state their respective cases on the record, in sworn testimony. 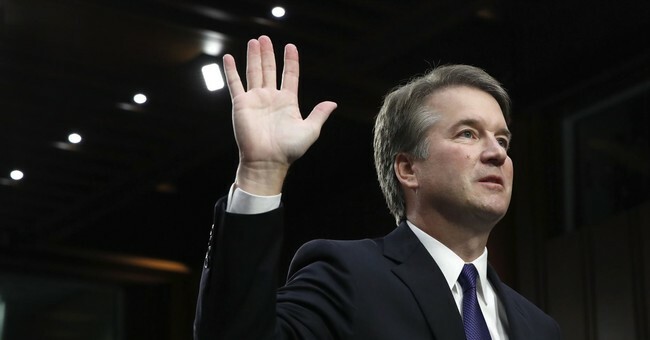 Senators would have the opportunity to question both individuals, as well as other potentially-relevant witnesses (such as Mr. Judge and various others vouching for character and credibility) without indulging the temptation to play to the bright lights and feverish coverage of a live open hearing. Alternatively, or in addition, this idea strikes me as a good one. Let a professional, respected, non-grandstanding attorney ask the questions. Ford's allegations are serious, and if true disqualifying. Here's the key question. Based on the available evidence, is it more likely than not that her claims are true? I followed evidence on Roy Moore & believed his accusers. Now my reasoned, skeptical assessments of an accuser’s story are provoking indignant screams of misogyny. Unless you join their stampede precisely how they want you to, you’re a monster. I will not be bullied into joining a mob based on a single, thin allegation. Neither should Republican Senators. By the way, are Democrats already not cooperating?